Lujane Pagganwala is a BA student of Fine Art at The International School (TIS) in Pakistan whose thesis research is investigating the role of consciousness in performance art. For the sake of her dissertation, she held an interview with Jatun Risba about trance and performance art. – Could you explain performance art in your own terms and what it is to you (through your experiences as well)? Performance Art is an artistic practice where the actions of an individual or a group at a particular place and in a particular time constitute the artwork. The word “performance” has been used as an umbrella term for all sorts of (creative) practices, where corporeality is involved. The widespread, cross-disciplinary use of the term ‘performance’ has frequently generated confusion or resulted in a great amount of mediocre works of dubious artistic value. In part, this happens because the vocabulary with which we attribute meaning and value to performance art is still not articulated and sophisticated enough. We are lacking a techne (the knowledge of principles) of performance art. That is why many performance artists, including me, are drifted towards the fields of theatre and spirituality. Theatre anthropology: the study of the performer’s pre-expressive scenic behaviour in different traditions, provides concrete tools and principles about how to achieve a dilated body or how to master the performer’s presence. Spiritual practices like meditation, the cultivation of kindness or fasting, offer ways to go beyond the mundane and enter into the zone of transcendental experiences and deep connectedness. I believe that the care of self, based on a rigorous spiritual and physical training, is a pre-requisite for meaningful performance art work. The public unfolding of the thinking-body in a challenging situation and in a trance-state of consciousness, constitutes the central pillar of my performance art. I have been using the Latin term “actio” instead of “performance” when describing my work since summer 2018 as the latest has become too general and misleading in and outside the field of art. I am using the word actio to denote a process or act with civil or spiritual implications. – What charges you to perform? I do performance-based work because of the drive to share insights, embodied experiences and meanings with others, and by doing so, help to create a more resilient, loving and inclusive world. In my art practice I create uncommon encounters, performative events and sensuous situations as I believe in the power of lived experience. My aim is to create spaces of communion with unknown others and the more-than-human world, where life-enriching behaviours can be expressed and practised. – Are your performances really personal to you? No, never. First of all, I see the entire idea of personality as a discursive construct of (post)modern times. The conception of individuals as distinct, autonomous subjects is part of the ideology of consumerism and has served to legitimate and fuel capitalism, globalization and technocentrism. The personality-based perspective has detached us from both nature and community, where the major resources are available to anyone, usually free of charge. In addition to that, having a woman body and being an economically precarious individual, other mechanisms have to be considered when addressing privateness. There is a tendency to trivialise and reposition the actions and words of underprivileged individuals and social groups into the domestic/private sphere. This manoeuvre discredits their civil and political impact and massage the status quo of political and economic impairment. Every time the work of marginalized people is described as ‘personal’, the truth about who our ancestors were and who we are gets neglected. About my art, the less of myself is present (the more dilated my consciousness), the better the work. My art practice is all about self-witdrawal. It is an exercise in overcoming the selfish ego-centeredness and finding the courage and humility of being interconnected with the lives of the human and more than human around us. I cannot escape from my history and ancestors, but trance (an exploded state of consciousness) enables me to make a step further and reach a zone where I can touch the perspective of eternity – sub specie aeternitatis. – While you are performing do you feel like you trance out? Being in trance is not something that “strikes me”, that occurs unexpectedly. For me, entering in the state of trance or hyper-awareness is a precondition for art and a sort of ethical obligation. It allows me to tap into the collective, where thought and time are suspended. The trance state I am speaking about and practising is a controlled one. Maya Deren, Divine Horsemen: The Living Gods of Haiti, 1985, film still. Courtesy the artist. Often people have the idea that trance is one thing and that every kind of trance will produce the same kinds of effects, and that’s just simply not true. To clarify my words, I can introduce the horse metaphor used by indigenous, shamanistic societies in regards to spirit possession. 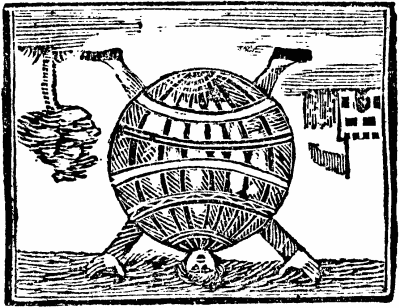 The spirit is said to mount the host (who is likened to a horse or some other beast of burden). The horse can take possession and control of the host and carry her on a wild ride. In this case we are dealing with “primitive trance” and the expression “trance out” makes me think of this quality of trance. However, with training, the host is able to take the reins of her life into her hand. In this case I talk about “controlled trance”. You surrender yourself completely to the unpredictability of the trance experience but maintain a watchful eye on the process. This means that you are hyper-present, both internally and externally, which is a different process than “spacing out”. Many artists, not only performance art practitioners, experience or aim to experience an exploded state of consciousness while doing art. I can support this statement by quoting the British painter Alan Davie who said that one should empty oneself and let the painting made itself at the right moment, and that an image ‘must happen in spite of me rather than because of me’. To me his words describe the ultimate feeling of being in the flow and such transportation is possible only when experiencing trance. I am tempted to say that the idea of art itself grew out of a transcendental experience. Famous performance artists who work with trance are Ron Athey, Marina Abramović, Martin O’Brien, Lone Twin … All physically demanding practices bring you into a “survivalist trance” as trance is a natural mechanism of the thinking-body to cope with extreme fatigue. Repetitive movements, words and sounds produce a narrowing of attention that also leads to trance. – What do you think is the link between performance art and experiencing such transportation? There is no direct link between performance art and trance. I think that all (art) activities can transmute into a trance-like experience under certain circumstances. It depends on the use of your body-mind as well as on your motivation and preparation (training). In my opinion art shall recuperate its ancestral role as a spiritual agency – an agnostic one – and by doing so, offer and hold a space for transcendental experiences of the self. – Do you think science could explain this phenomenon? Science can surely provide an insight about the changes in the electrical oscillations that occur in the brain during trance. A good amount of research has been done on this matter in the last decades. 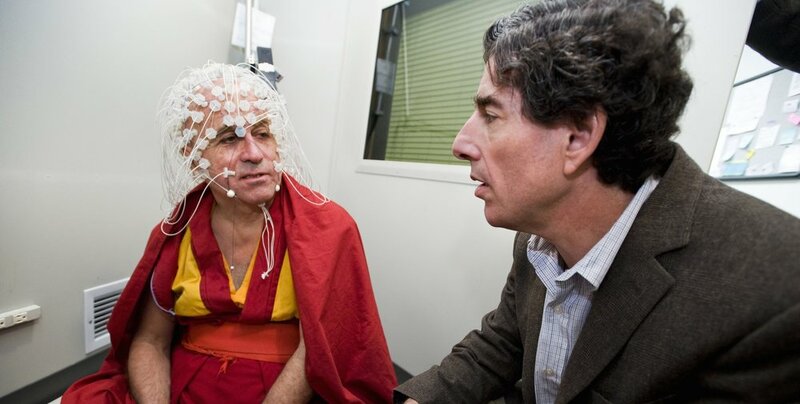 Dr. Richard Davidson is the neuroscientist who started studying the effects of meditation on the body-mind with Buddhist monks who are long-term meditation practitioners. Through his researches he learned things about neuroplasticity, which were very new at the time for the entire field of neuroscience. To give another, less known example of scientific studies on trance, the anthropologist Dr. Felicitas Goodman conducted laboratory tests with EEG in the 1990’s that captured relevant differences in the electric activity of the brain between meditative and ecstatic trance states of consciousness. Nevertheless, we are still far from understanding the effects of trance on our thinking-bodies and maybe we will never be able to fully comprehend them scientifically. The methodology of science has to become less dogmatic to begin with. Only then, I think, science will manage to embrace trance and other subtle phenomena on a deeper and vaster scale. This entry was posted in Uncategorized on March 3, 2019 by Arts of self. This entry was posted in Uncategorized and tagged Fortune, gaming, ICE London 2019, interview, Medard Križišnik on March 3, 2019 by Arts of self. At the exhibition ICE London 2019, the world’s largest gathering of Gaming professionals, Jatun Risba will hunt and share a fortune with a durational art piece that stops time. The artist Jatun Risba will perform ‘Fortune’ every day starting 11:00 and continuing until the public closure of the show (at 18:00 on Tue/Wed and at 16:00 on Thu). The total duration of the work, divided into the three days of gaming exhibition, will amount to 19 hours of performance. Jatun Risba will wear a gold full-body catsuit and will carry a black travel case in the hands. The costume and the physical actions will capture visitors’ attention. After identifying “the right spot”, Jatun Risba will collapse onto the floor, open the travel case over the head and wash the face off under a stream of casino chips. The artist will then remain lying still on the floor, immobile, like a showpiece for the rest of day. The work stages an opposition between the material appeal of (shiny, vertical and tactile) casino currency and the detached anonymity of money. Both currencies have no intrinsic value in themselves, yet have a tremendous impact on our lives. The actio ‘Fortune’ explores how we can embody, create and share a fortune in healthy and responsible ways? Jatun Risba is a London based Slovenian artist who has extensively exhibited, lectured and performed internationally: in Slovenia, Italy, France, Bulgaria, Spain, USA, Mexico; ‘Fortune’ is the first work presented in United Kingdom. Jatun Risba uses the pronoun “ki” which acknowledges and honours the beingness of all (living) matter. More information about Risba’s work can be found at www.artsofself.com. This entry was posted in Uncategorized and tagged actio, Art Intervention, Fortune. ICE, gaming, Jatun Risba on February 2, 2019 by Arts of self.